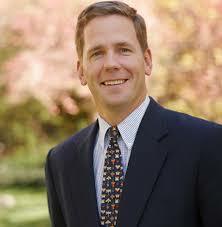 Bob Dold represents the 10th Congressional District that runs along the north shore of Lake Michigan in Illinois. He and Democrat Brad Schneider have run against each other for the seat three times. "Paul Ryan’s already spent millions to try and permanently derail Brad (Schneider)’s progressive, energized campaign." Says Republican U.S. Rep. Bob Dold "continues to side with his Republican leadership and the NRA in blocking consideration of a bill that would keep firearms out of the hands of people on the terrorist watch list."